Libro de Glosas | Calefax Reed Quintet | Dispeker Artists, Inc.
Calefax decided to get into the recording studio (actually a beautiful church in Haarlem) and just record lots of material. Most of it ended up on this CD some music has been released through other media. 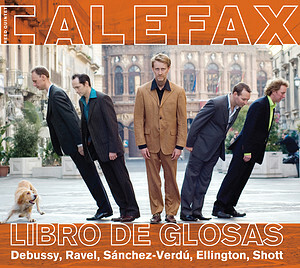 It was the first time Calefax recorded a CD in this ‘semi live’ way.